A Problem Becomes a Product - Narrow Gate Trading Co. It was just 2 years ago when custom home-builder, Daryl Walny, stepped into the Narrow Gate Trading Co. shop to see if we could help him solve a problem. 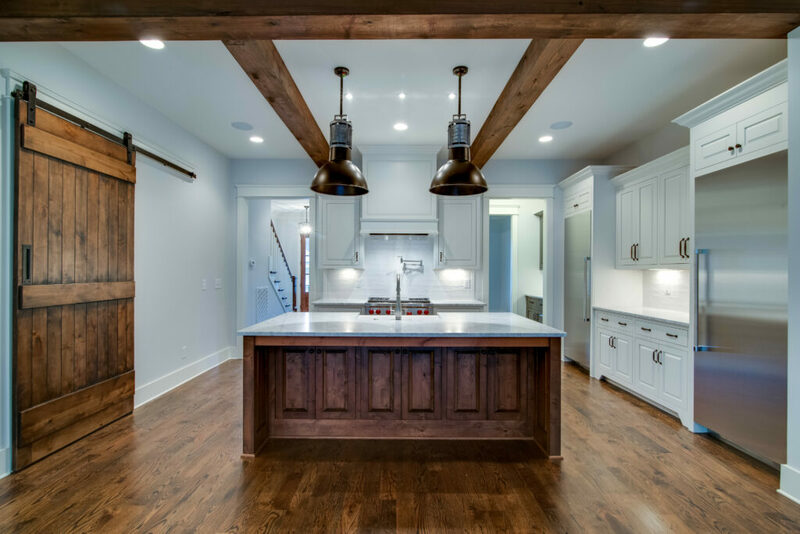 As a home-builder for over 20 years, Daryl knew that his customers expected high quality building materials and solid building principles from him and his company – Carbine & Associates – so he needed help solving the recurring problem he was having with getting high quality box beams! Finding a trim carpenter willing to build the beams was the first problem…and the bigger problem was Daryl hadn’t found anyone who could build a beam that wouldn’t split and come apart at the seams. He had an idea that might solve his problem…but he needed a team of skilled (and willing) craftsmen to work alongside him to discover a solution. Well, our team accepted the challenge and very quickly designed a unique joinery system that solved our customer’s problem and created a real wood box beam that is light-weight and has the look of a solid timber! 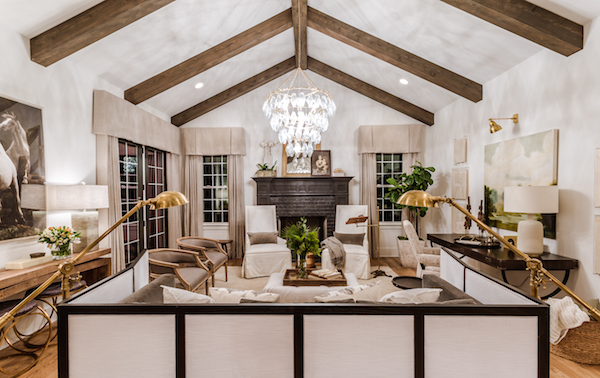 The beams are easy to install and make an impressive statement for any ceiling. After Daryl saw the work and saw how happy his customers were…he started ordering more and TN Box Beams was launched! 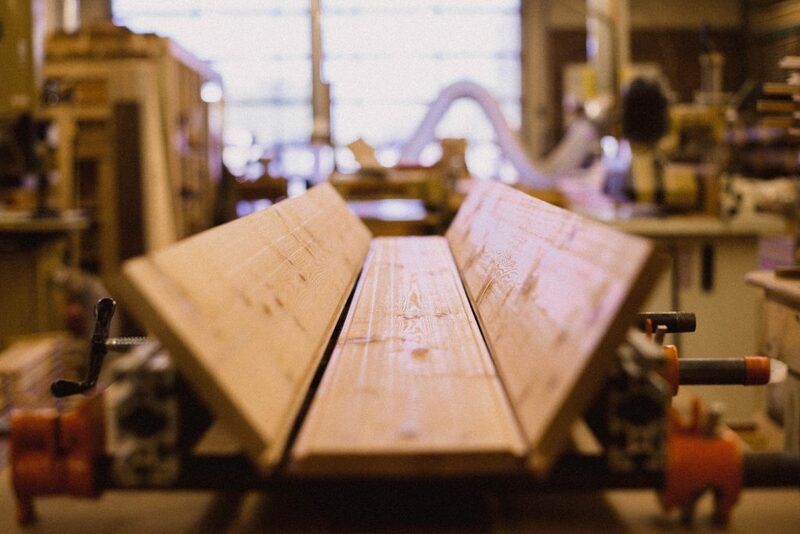 It’s been just 2 years since we built our first box beam…and now, we’ve built over 500 beams for customers in TN, AL and TX!!! Our business has grown significantly as we serve builders, remodelers and DIYers. 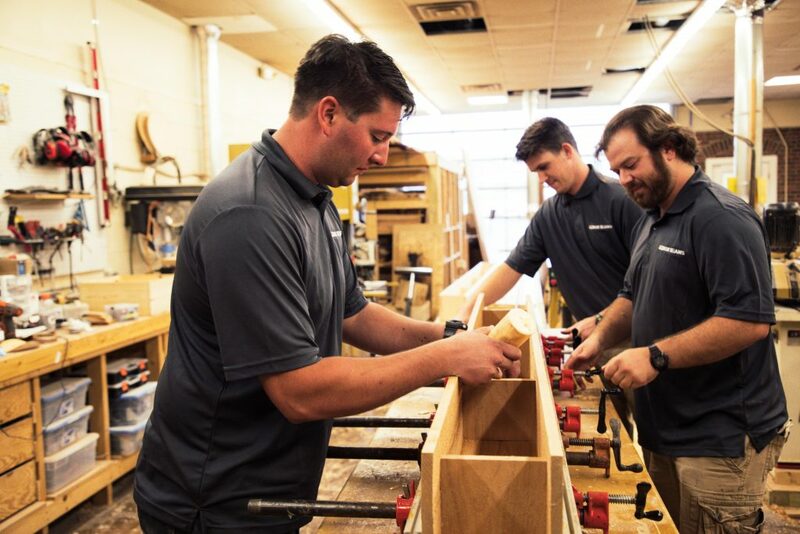 Our team of craftsmen have also developed custom stains and custom finishes that can replicate many different beam styles and design requests.